Our production site in Weihenzell is certified in accordance with DIN EN ISO 9001:2015. In addition, the requirements of environmental management certificate ISO 14001 as well as the occupational health and safety requirements according to OHSAS 18001:2007 are met. 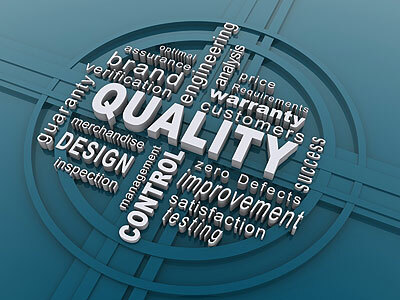 A high standard of quality can be guaranteed thanks to our experience as well as the use of state-of-the-art quality and production procedures. The quality awareness of BBT's employees and BBT's zero defects strategy are important pillars of our company's success.